In recent years we have had the pleasure of attending several weddings at both of the Detroit wedding locations below. Our experiences at each of these weddings was nothing short of lovely, and that's why we are recommending them to you here. To us, they represent two sides of the same lovely coin; one traditional and religious, and one modern and luxurious. The Detroit wedding locations that you'll find detailed on this page are both indoor locations... please note that if you are searching for the perfect Detroit outdoor wedding locations, we have a page dedicated to those right here. The Cathedral of the Most Blessed Sacrament is the most elegant choice for a beautiful religious wedding. This happens to be the headquarters of the Archdiocese of Detroit, and it is also a local parish community of faith. This makes it a gorgeous place to say your vows, right there in the eyes of God. The atmosphere here is truly extraordinary. Marble floors, statuesque ceilings that reach to the heavens, a cross that dangles dozens of feet in the air above the altar. It is well lit, filled with flowers, and nothing short of breathtaking. We can't think of a more stunning place to be married. There are of course some guidelines to keep in mind, including that one of the parties must be a baptized practicing Catholic. You must also note that there is a six month Catholic requirement for marriage preparation, and following one of these programs can really help your relationship to grow. If you think The Cathedral of the Most Blessed Sacrament is the perfect place for your wedding, you can reach wedding coordinator Keylee Ravida by phone at (313) 865-6300 extension 221, or by email at bscweddings@yahoo.com. If you'd like to take a look at the cathedral in person, you can find it at 9844 Woodward Avenue in Detroit. 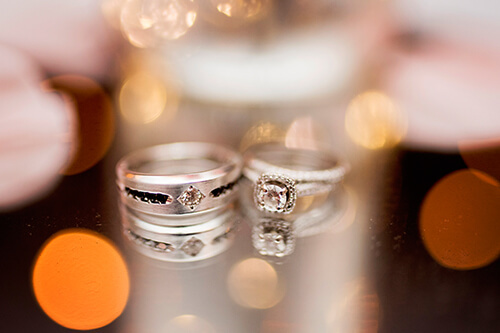 For a truly upscale wedding that is modern yet traditional, you will love The Inn at St. Johns. It is located in Plymouth, and this luxury hotel has been a part of Michigan history for more than fifty years now. Many glamorous events are held here, and your wedding should certainly be one of them! The weddings that we have attended here have been elevated by the incredible Romanesque architecture, the elegant twelve food ceilings, and hte luxurious touches that are woven throughout each room. Your guests will enjoy the overnight stay in such an incredible atmosphere, and they can take advantage of the incredible golf course while they're here too. Of all the Detroit wedding locations that you could choose, we truly think that The Inn at St. Johns is one of the very best. You can find this one at 44045 Five Mile Road in Plymouth, and you can reach them by phone at (734) 414-0600 or by fax at (734) 414-0606. Copyright 2010 Wedding Locations Detroit. All rights reserved..